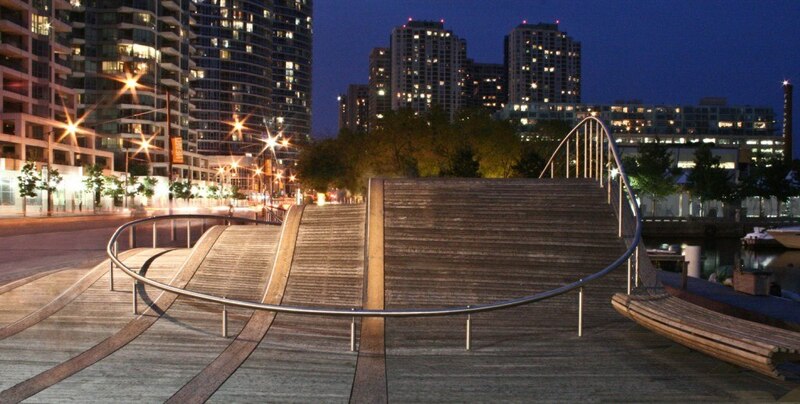 The Wavedecks were created to link pedestrian and cycling access along the Lake Ontario waterfront. After understanding the client’s desire to use natural materials over sensitive fish habitat, we explained to them the benefits of using yellow cedar for durability and glued-laminated timber (glulam) to achieve the extremely curved geometry. David Moses, project engineer while at Equilibrium Consulting, provided consulting on best options for wood products, species, design criteria, detailed concealed connection design and post-installation inspections.